Are you tired of working in Hospitals, and Clinics? Here is a chance to work in world famous school, the most sought-after schools in the city of Al Ain. This is not just about education, the care offered by the management towards children. 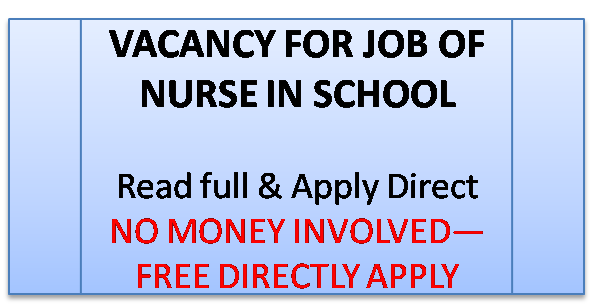 The vacancy is for a nurse with Bachelor Degree in Nursing. Scroll down to see the link directly to the job information from the job provider. A PDF file will be opened, and in the second page you can see the details of Nurse vacancy.